Kummersdorf was a German Army artillery range, 25 kilometers south of Berlin, in the vicinity of which the German Army Ordinance Department tested a variety of solid- and liquid-fueled rockets in the first half of the 1930s, built by Wernher von Braun and his team. By the late 1930s, it had become clear the site was too small and congested for the kinds of tests that were needed. The staff at Kummersdorf already numbered around 80 and more engineers and laborers were needed. A new site was sought on the coast from which rockets could be safely launched, tracked and/or recovered during testing, and which was also secure and secret. 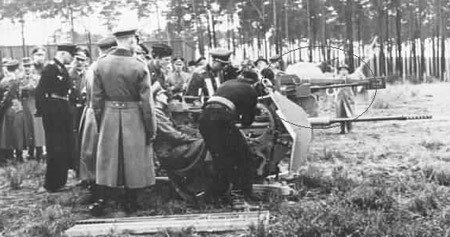 The Luftwaffe, too, had decided to invest funds in rocket research and soon a joint operation with the German Army resulted in the selection of the small fishing village of Peenemünde on the Baltic coast.